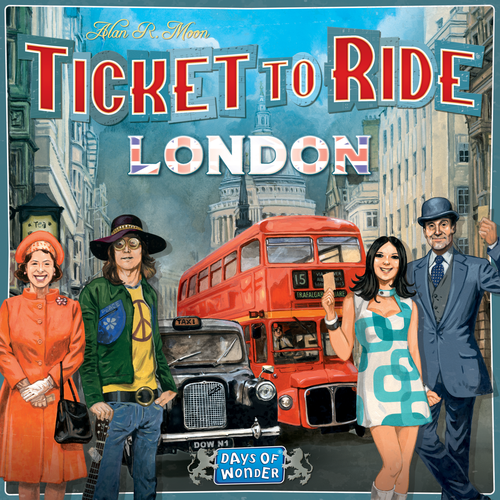 Days of Wonder has announced the next title in its long-running Ticket to Ride game series from designer Alan R. Moon, with Moon returning (in spirit) to his United Kingdom homeland for Ticket to Ride: London. 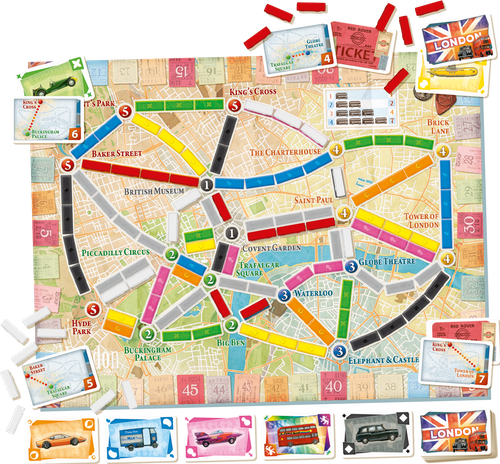 Ticket to Ride: London will leave European stations in June 2019, with North America seeing the game in July 2019. Versions of the game will be released in English, French, German, Italian, Japanese, Polish, and Portuguese/Spanish, with a separate Brazilian Portuguese edition, and the retail price is $20/€20. In the U.S., the game will be available exclusively through the Walmart retail chain "for a limited time". Updated image from the publisher on April 3, 2019 here.